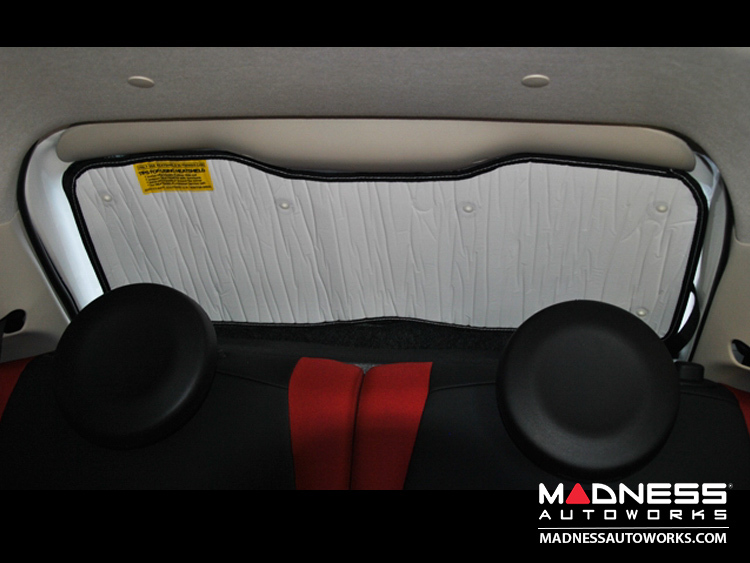 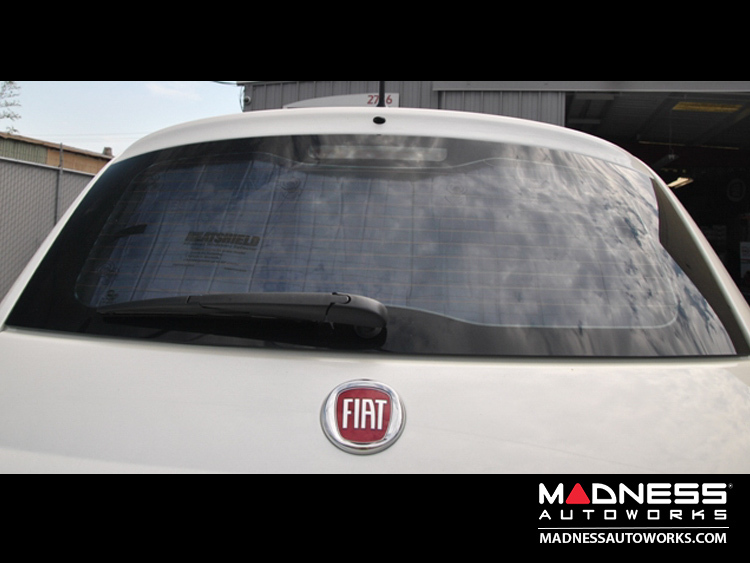 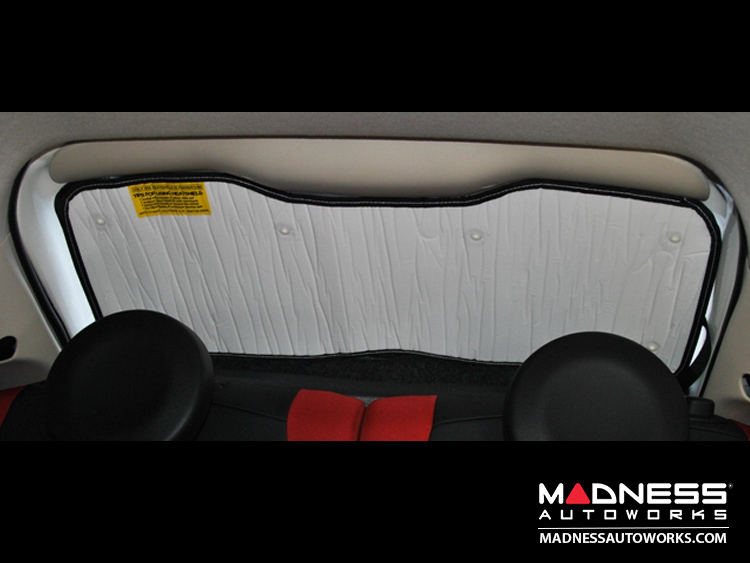 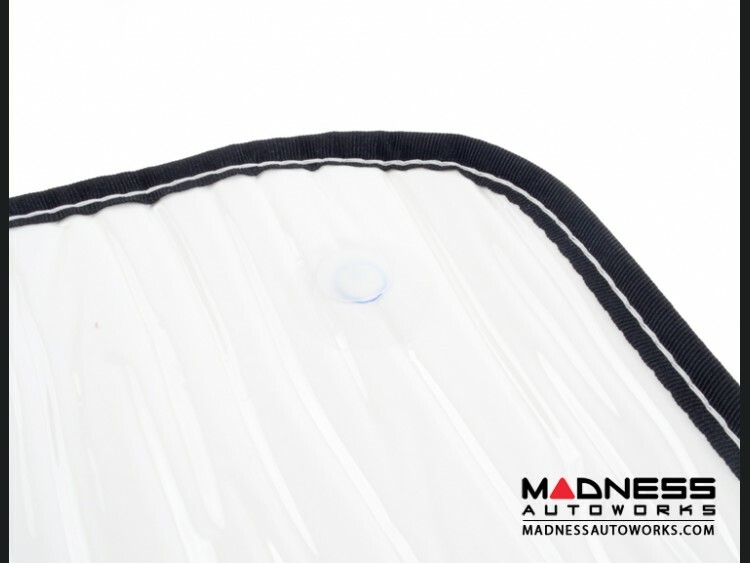 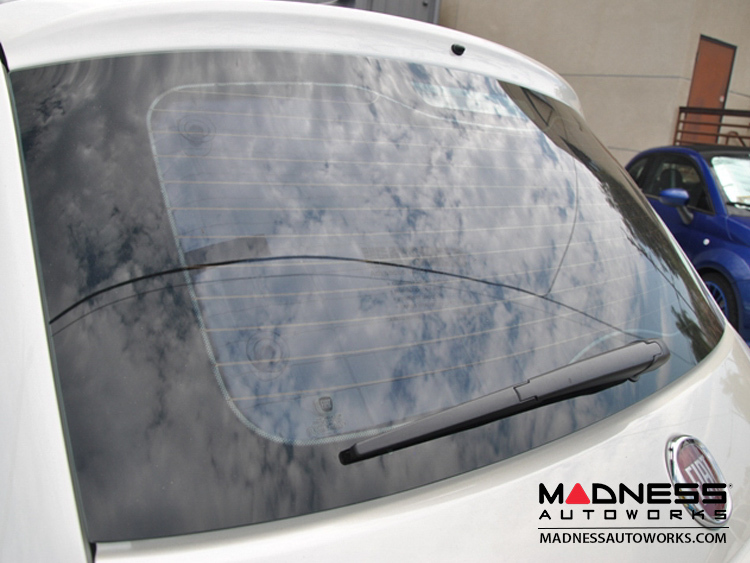 Keep the interior of your FIAT 500 cool and protected with this Rear Window Sunshade for your FIAT 500 Cabriolet. 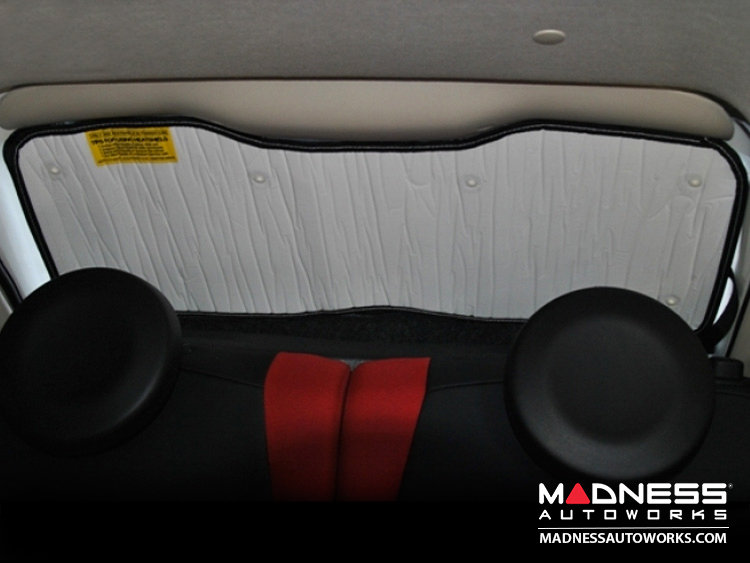 Custom designed to fit the shape of the car's rear window (Cabriolet). 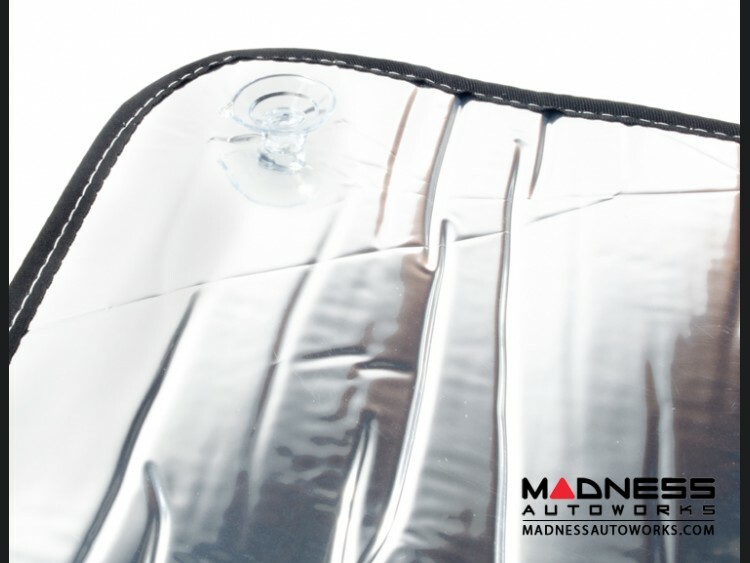 The material of the cover is simple and unique special metalized polyester film laminated to a thin layer of closed-cell foam w/a clear polyester film back custom cut, using the latest in computer-aided cutting technology sewn around the edge with a cloth binding cover is reflective, insulating and custom fit for the FIAT 500 reduces the inside temperature by as much as 40 deg.